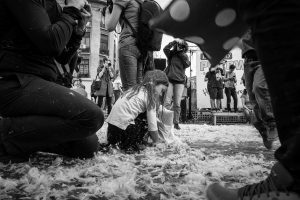 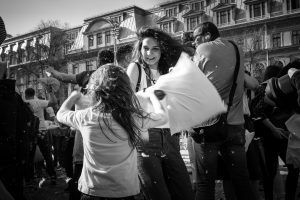 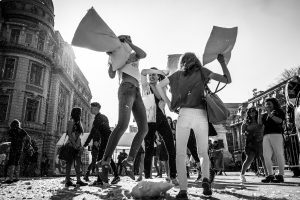 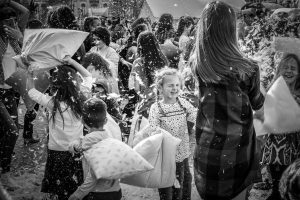 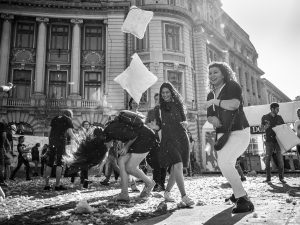 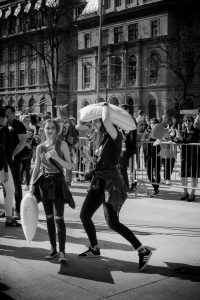 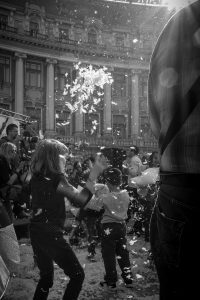 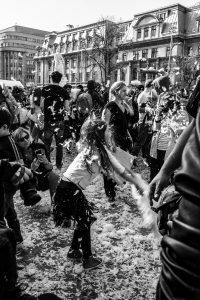 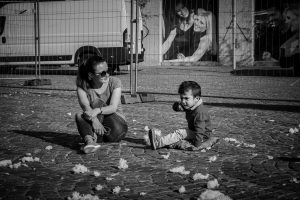 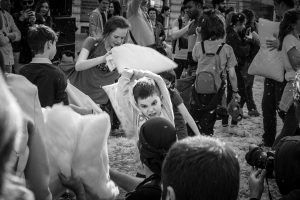 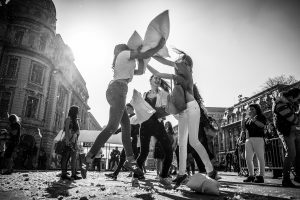 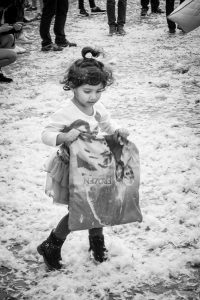 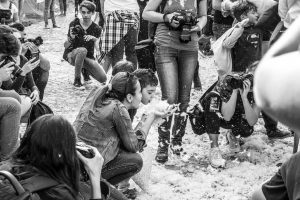 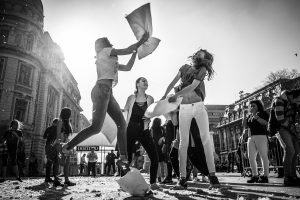 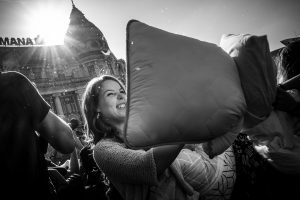 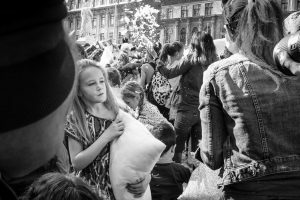 International Pillow Fight Day is celebrated on 1st of April in more than 50 cities across the world. 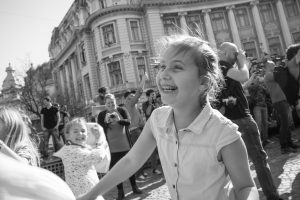 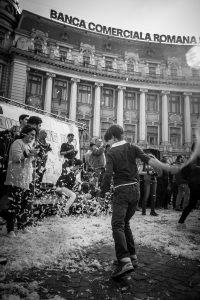 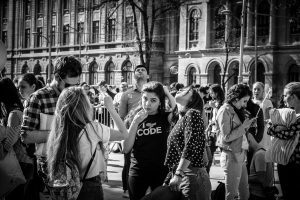 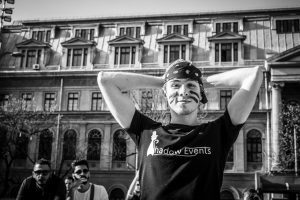 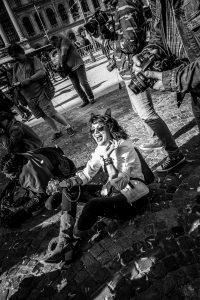 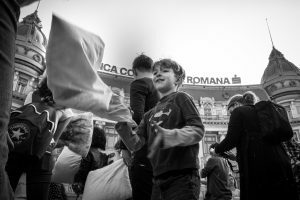 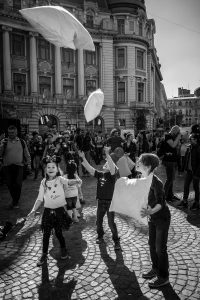 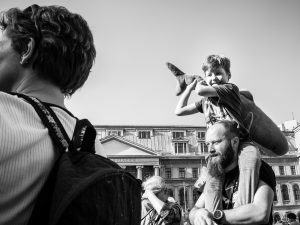 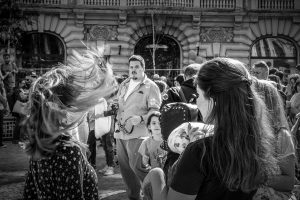 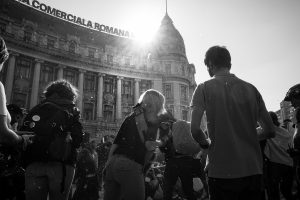 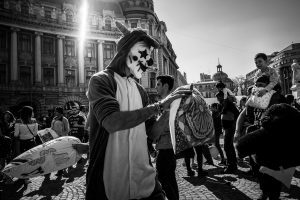 This year, Bucharest celebrated the 3rd edition of this event, with people gathering in the city center, at University Square. 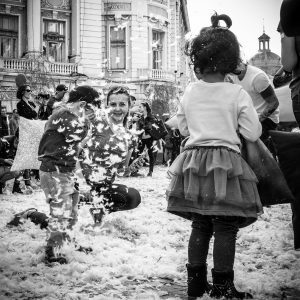 Under the sun of a wonderful spring day, fluffy pillows and cheerful children were the main characters of this story. 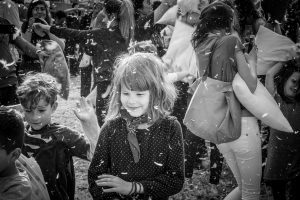 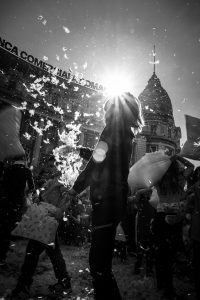 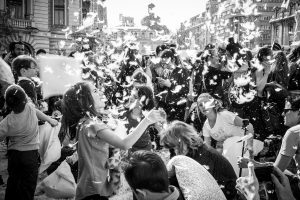 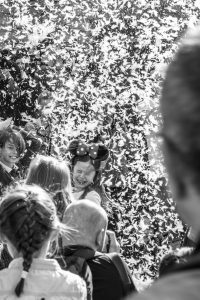 There was music and bursts of laughter and millions of white feathers dancing in the air. 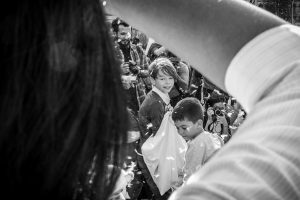 The light was great for contrasty black&white pictures and, among the models, the most innocent human beings on Earth.